In my study I have a complete run of Wisden dating back to the first published in 1864. Those prior to the Second World War are all facsimiles from the brilliant Willows Publishing so please don't assume that my “collection” suggests millionaire status! But the run is a wonderful thing for a cricket lover, especially a writer, to have and I wouldn't be without it. The majority of the pages of these 150 volumes cover the English County Championship from its early days in the mid 1890s through to today. Increasingly what the public wanted was limited overs cricket and when the “Benson and Hedges” (“B&H”) Cup (55 Overs) arrived in 1972 it was clear that this was the future of the domestic game – not least because compared with the County Championship that is where the money was. Well, as they say, the rest is history. We, the English, invented something and within a few years it was copied and enormously enhanced and improved by other countries. That may have happened before! “Enhanced and improved” – in this point of view means that the Indians (especially), the Australians (initially reluctantly), the South Africans and just about every other country where cricket is played launched commercially successful T20 tournaments. In ten years a lowish key English experiment has revolutionised world cricket – except, it has to be said, in England! No country decided that their T20 tournaments should have 18 participating teams! None decided that matches should be played in country grounds without a big spectator catchment area and with inadequate facilities (often even no floodlights!). All knew that the number of teams (“franchises”) should be limited to say eight. That the matches should be played at night in big city grounds each of which had a huge catchment area. That they could not simply build on whatever moribund domestic team structure they had but start afresh. Here in England in 2014 there will be 18 T20 teams again this year. And there will be fixtures at all of the tired old County grounds: Grace Road, Brighton, Taunton, Derby, Chelmsford, Northwood (Northwood?? ), Arundel (Arundel??) and the rest. That’s 126 matches spread over three months before we even get to the knockout stages. (That is not a misprint. 126 matches). What might once have been a golden goose has become a preposterous monster! Part of the British way is eventually to get around to the idea that others might have perfected our institutions over time rather better than we have. It takes time though – time measured often in decades (or more) rather than a year or two. Keith Bradshaw when he sat on the ECB Board as representative of MCC worked with others to put together a sensible domestic T20 proposal. It involved eight or ten teams (“Franchises”) playing an IPL style tournament over a prescribed shorter period of time. 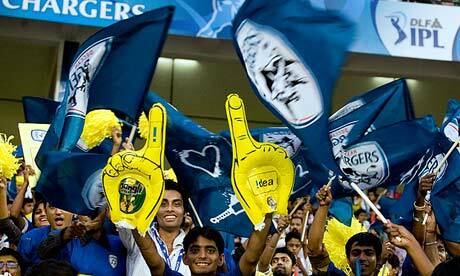 It made total sense copying the successful model of the IPL and the Australian “Big Bash” (etc.). It went down like a lead balloon with the ECB not because it was ill-thought through, or commercially unwise (on the contrary) but because it moved away from the 18 County system. English cricket is riddled with prejudice and rancid with nostalgia. We meander every year through the delusion that Four Day County cricket matches matter when across the whole season the moribund County Championship gets fewer spectators than the Football League Division Two gets in one day. The recent match between Chesterfield and Fleetwood was watched by 6,500 spectators. That would be close to a record crowd at Taunton ! And for T20 as well – it would be unthinkable for the County Championship. Note: I’m not comparing our County system with the top of the Football leagues (The Premier League) but with the bottom. That quote was in Playfair 44 years ago. Must be time to take note of it. Even in England ! Teflon Man Giles Clarke defends the indefensible - as ever. "What I’ve learnt in my time in cricket administration is that the important thing is to make the right decision, however much it is disapproved of. I learnt that with selling the TV rights to Sky in 2004. If you’re going to make a hard decision, don’t vacillate. “I’m confident the public will still support us [despite the loss of the Ashes and Pietersen]. Sport is about regeneration and we have exciting young players in Jos Buttler, Eoin Morgan and Ben Stokes. They will empty the bars as much as anyone. The Clarke tactics, as ever, are to divert attention from his own failings. The KP affair was a minor sideshow which the venal Mr Clarke chose to make centre stage. England did not lose "The Ashes" because of Kevin Pietersen - we all know that. We lost because an ill-chosen, badly coached, incompetently-captained and rather arrogant and unpleasant team were outfought, out thought and (yes) out-sledged by Australia. 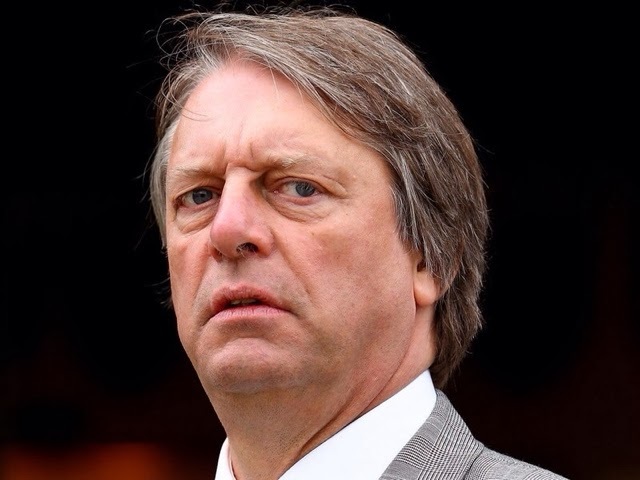 Giles Clarke bears the ultimate responsibility for England's shambolic fall from grace. Once Clarke had sacked Andy Flower (not unreasonably) he then ducked the obvious next step which was to sack Alastair Cook as well. Instead he chose to say that Cook, clearly part of the problem, will lead the recovery! And to suggest that Cook's failure was in some way attributable not to his own self-evident inadequacies as a Captain but to Kevin Pietersen is characteristic Clarke mendacity. Pietersen is generally liked by the younger fans who cricket needs for the future, but he is disliked by Clarke's generation - especially those with red and yellow ties who sit in the power seats of English cricket. So he was dispensable. Clarke is Teflon man - he should not have survived the disgraceful Stanford affair nor the removal of live cricket from free-to-air cricket about which he now boasts. His position is shorn up by the 18 counties who are totally reliant on ECB patronage. And yet he now has his grubby hands on the levers of power in world cricket. Barely believable. My response in the Telegraph Blog to Scyld Berry's piece on latest ECB explanation for Pietersen sacking. Truly deplorable from the ECB. Evidence now firm, including the testimony of Graeme Swann, that KP's attitude was fine on tour. The 2012 Incidents were put behind everyone, Pietersen apologised and worked hard on his return. This is an outrageous settling of old scores by people who couldn't manage a paper round. Although I don't believe it some are saying that KP has been jettisoned to clear the way for Peter Moores to return as coach. I don't believe that because I'm sure Ashley Giles has got the job. But should the Moores rumours be true ECB's behaviour is even more squalid than it seems. Giles Clarke takes all the key decisions at the ECB. Ironically he was the prime mover in getting Pietersen back into the team after his 2012 dreadful texting behaviour. It seems that Clarke has repaid KP's subsequent good behaviour by agreeing to his sacking. It is inconceivable that new men Whittaker and Downton were empowered to take this decision - it was certainly Clarke's. As always David Collier the generously remunerated CEO of the ECB has kept his head down. The invisible man. The ECB management is revealed to be as dysfunctional as they are incompetent. And at the bottom of the pile of stakeholders are the cricket-loving public who on top of having to pay the highest ticket prices in the world (by far) and having ZERO live cricket on free-to-air TV now after a cataclysmic Ashes tour see England's top batsman discarded for no good reason. Ashley Giles will be England's new cricket coach. Here's why. The stories and speculation about the England coaching job are still rife on the sports pages. Gary Kirsten's name as the "ideal candidate" is in most of them. It won't happen. Here's why. Andy Flower was sacked by the ECB management, principally by Giles Clarke the Chairman. But out of respect for him it was announced that he had "stood down" (three weeks after he said on the record that he wouldn't !). Clarke even said that the Ashes defeat was not the reason for Flower's departure. A blatant bit of mendacity. It was further said that England wanted a single coach across all formats. Flower wasn't available for this so he had to resign. This was window dressing. Whilst one coach might make good sense there was no rush - after all Ashley Giles has only been in the Limited Overs job a short time. Ashley Giles will get the England coach job. The logic will partly be that he is already part of the set up as One Day coach so if is logical to extend his brief. That he has conspicuously failed so far won't be mentioned! Giles Clarke likes people around him who are beholden to him. That means people who are insiders in the cosy world of county cricket. Clarke's head honcho David Collier is one such - they've been Tweedledum and Tweedledee for years now. Clarke doesn't like challenge. I once saw the estimable Gideon Haigh tear him apart at a conference and Clarke responded like the selectively truthful street fighter he is. Gideon wasn't bothered, but we saw Clarke warts and all that day !. 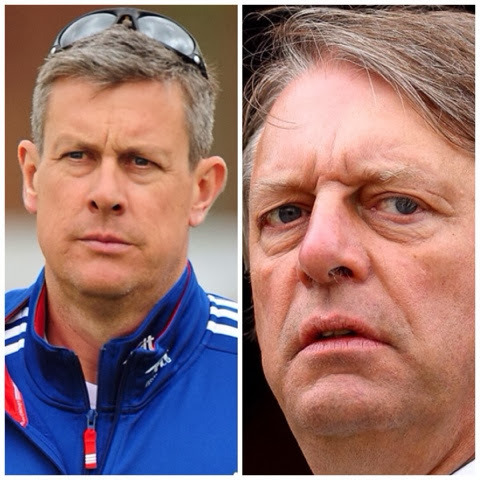 Giles Clarke has decided that Ashley Giles is his man. Unthreatening, A county stalwart. An insider. Can be manipulated. Wouldn't say boo to a goose. Or a Clarke.